The Amarillo Independent: What did we get for our eight years of work? What did we get for our eight years of work? these past eight or so years — hearing the voice of those with a vested interest in the overall health of the city instead of those vested in the health of their and their friends’ pocketbooks. 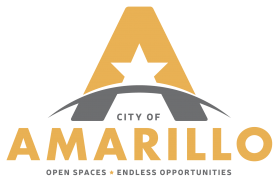 On a 3-2 vote, Councilors Elisha Demerson, Randy Burkett and Mark Nair fulfilled their campaign promise to place the Wallace Bajjali-Downtown Amarillo Inc. plan for a ballpark on a November ballot. Bill Gilliland’s and Laura Street’s last-minute attempt to keep the question of building a ballpark away from people who are now seeing through the charade this entire downtown development fell short — as short as the fund-raising they did for the Globe-News Center a decade ago. What is illustrative of how failed this downtown development effort came in the report by the Amarillo Globe-News, the Wallace Bajjali-DAI public relations arm. The paper’s website showed that these two local high rollers and their allies pushing the ballpark couldn’t tell us what we’re getting for the public and private money; but that isn’t different from what we’ve heard from all of the leadership on the ballpark. Why no one seemed to question Tuesday night why we know so little after eight years is astonishing. When Wallace Bajjali cratered in January, the City Council spun the almost $1 million of our tax money paid to the fraudsters as a worthy expense. But no one has really explained what we got for the money and, at this point, we’re looking at a ballpark that is more a figment of imagination than a playing field. Field of Dreams? More like a Field of Nightmare. Nor, after the Gilliland and Street act Tuesday, did anyone question where these big spenders were over the past eight years. Why, if so eager now to build the mystery MPEV, did it take the moneyed crowd so long to line up the capital? It’s clear that The Amarillo Independent’s warnings about entrusting revitalizing downtown to the former City Council leadership and its alphabet soup allies would fail are coming true at each step of the way. The path is littered with missed deadlines, revelations of changed plans, misinformation and disinformation and egregious incompetence. And those critiques are charitable. We are now going to move into a three-month battle sure to be riddled with propaganda and continued name-calling. The election, ostensibly in November 2015, will hinge on turnout and turnout will also hang on how angry and motivated each side remains. Certainly the Amarillo Millennial Movement representatives’ disrespectful behavior and magical thinking won’t help their cause, whatever they believe it to be. Mayor Paul Harpole continuing to show his colors made no friends among those who want a responsive city government. But the outcome of the election will also hang on the wording of the resolution put before the voters. The city will best serve its public to make that resolution honest and straightforward. In addition, we’ll need to keep our eye on everyone involved, especially the City Council, DAI and the LCG, so no violations of the election laws that bar using public resources to advocate on this matter occur. Labels: AEDC, Amarillo City Commission, Amarillo City Council, Amarillo Local Government, Amarillo Local Government Corp. Downtown Amarillo Inc.
Be wary also of those who might be inclined to use "public resources" to condemn the MPEV.